We recently received a package from Party bags and supplies of party ware for T's birthday next month. 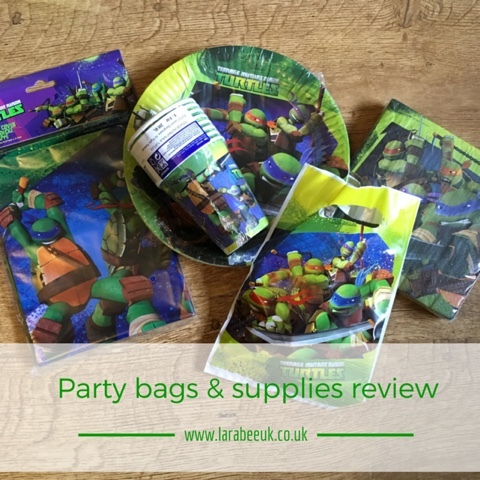 We chose the TMNT Partypack for 8 including filled party bags which included napkins, cups, plates, a tablecloth and even FILLED party bags! There are literally loads of designs and characters to choose from all the latest designs as well as the classics. The party ware is great quality as you would expect with the plates being substantial enough to hold a plateful of food and dip and the cups are of high quality and will withstand a fair amount of chewing from small teeth! The tablecloth is made of thick plastic which will certainly be able to be used a good few times and the napkins are nice and thick, certainly durable enough to contend with messy fingers and spills! At £28 for the kit I think this is great value, yes you could get cheaper from pound shops but you certainly wouldn't get the quality. The piece de resistance for me were the filled party bags. I must admit I was not expecting much, I've seen some filled bags from other companies which either contain very little, are filled out with sweets or contain cheap cracker type fillers. 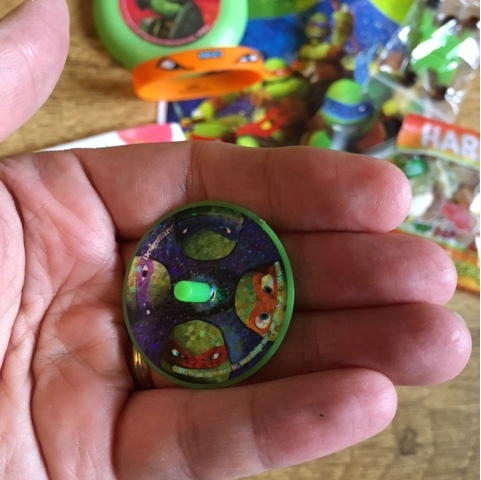 The bags contain a mini frisbee, a kids wristband, a sticky man (for walking down windows!) 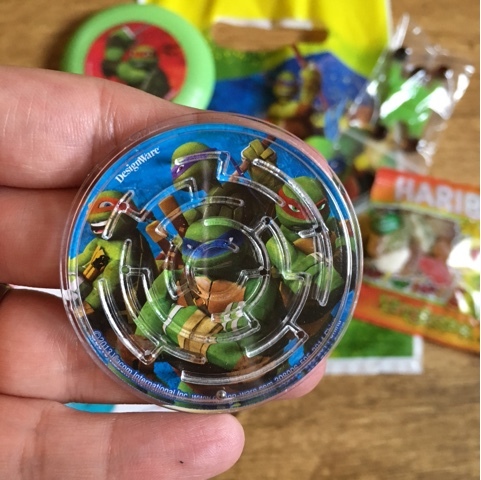 a pack of sweets, a mini spinning top and a puzzle, everything bar the sweets and sticky man are brands too. I shall be adding another pack of sweets and some stickers but that's only because I already have those, not because they particularly need it. 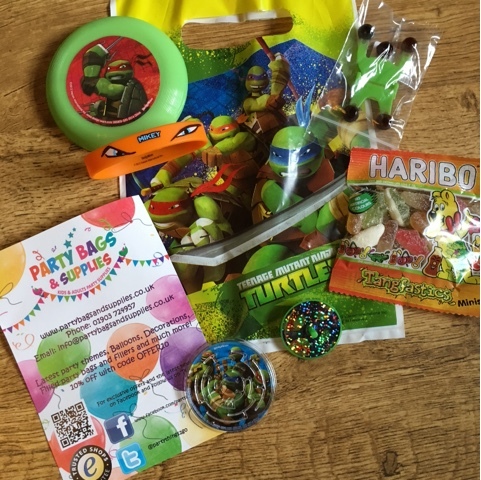 The filled party bags also can be purchased at £1.99 each, not just in the packs. I think this is pretty good value. All in all I think Party bags and supplies, party packs are fantastic value for money and perfect for small birthday parties. T has 2 small birthday parties planned which we'll use these for, he has a party with his cousins on his actual birthday and a sleepover with 3 of his best friends in the new year. Look out for posts for both of these!! Disclaimer: we were sent a party pack for 8 in return for our honest review.